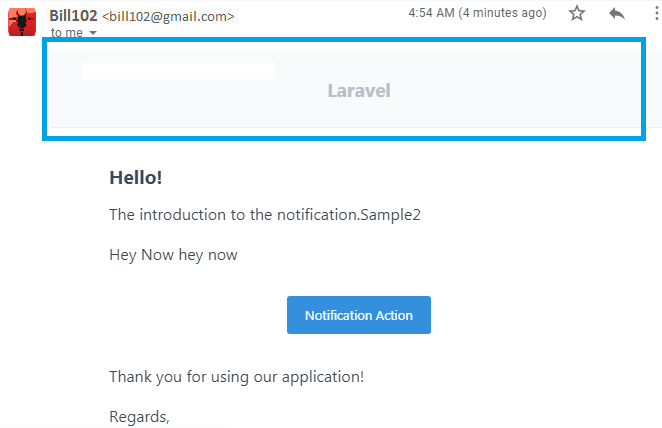 I am using Laravel Mailable to send email, and I want to log the email that was successfully sent. Question is, what is the correct way to pass custom data to MailSent event when using queue? Or is there possibility job_request_id is lost when using queue and pass to withSwiftMessage(), so the Event Listener just received null value? I want to customize that logo header, my problem I can't find where exactly. Need your help Sirs. For example, I want to use donotreply@domain.com for my contact form. Then I want to use myemail@domain.com for my registration form. How can I implement this? I am trying to make listeners work with a queue. Everything is set up correctly to connect to a Redis server. * If we need to know additional data. After the even fires, I take a look at my Redis storage to see if something is saved and it has. When I take a look at queues:default it has JSON. The queue does work, but the code in handle function never gets called. When I set my queue driver to sync, everything executes straightaway. I've tried using solution from This Question but it didn't solve my problem hence I am asking it as a separate question. TL;DR - I want my subscriber Listeners to get executed in a queue asynchronously. My Subscriber calls method from different class on for each Event. I tried to add implements ShouldQueue in my SubscriberClass | My Listener Class | renamed method to handle in Each Class but nothing works. they are still executed synchronously without queue. I've a Event Subscriber Class: TesterAPI. I added it in EventServiceProvider subscribe array. Help me understand what I am doing wrong.